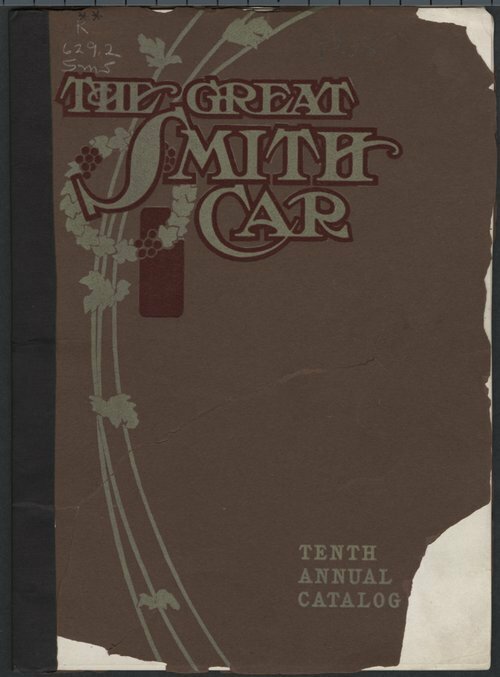 This catalog advertises the Great Smith Car built by the Smith Automobile Company of Topeka, Kansas. It discusses the different models available with a detailed description of parts and includes a price list. The cover refers to the "Tenth Annual Catalog" but the title page refers to the "Eighth Annual Catalog."